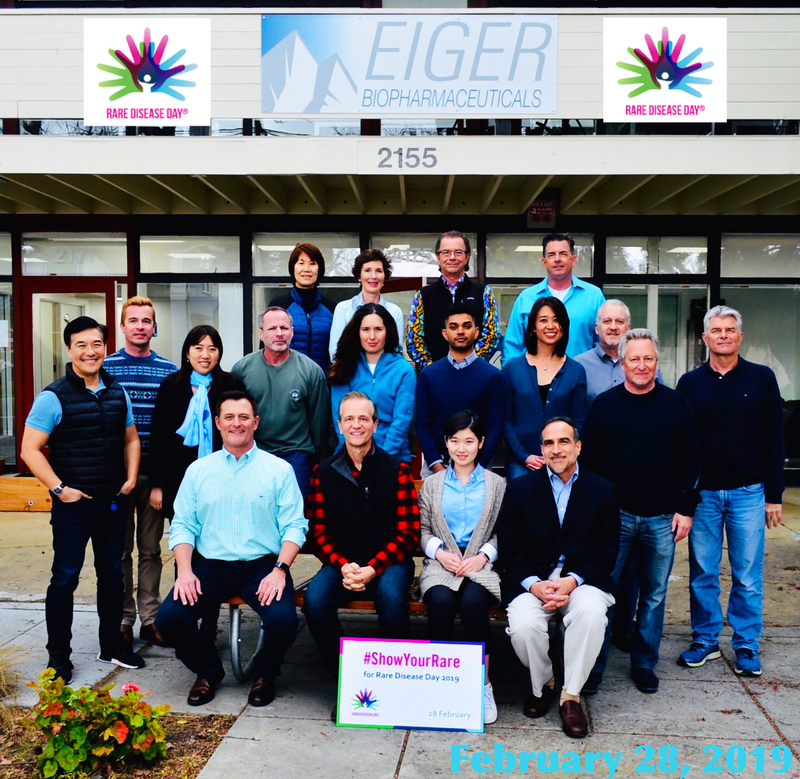 PALO ALTO, Calif., March 12, 2018 — Eiger BioPharmaceuticals, Inc. (Nasdaq:EIGR), focused on the development and commercialization of targeted therapies for rare diseases, announced today financial results for the three months and year ended December 31, 2017 and provided a business update. Net loss for the fourth quarter of 2017 was $10.9 million, or $1.11 per share basic and diluted, compared to a net loss of $12.8 million, or $1.53 per share basic and diluted for the fourth quarter of 2016. Net losses were $42.4 million and $47.1 million for the years ended December 31, 2017 and 2016, respectively, or $4.86 and $7.84 per share basic and diluted, respectively. Research and development expenses for the fourth quarter of 2017 were $7.8 million compared to $9.4 million for the fourth quarter of 2016, a decrease of $1.6 million. The decrease was primarily due to a $0.9 million reduction in clinical and drug supply expenditures and a $0.8 million reduction headcount related costs. R&D expenses were $29.5 million and $33.0 million for the years ended December 31, 2017 and December 31, 2016, respectively. General and administrative expenses for the fourth quarter of 2017 were $2.8 million compared to $3.5 million for the fourth quarter of 2016, a decrease of $0.7 million. The decrease was primarily due a $0.4 million decrease in stock-based compensation expense. G&A expenses for the years ended December 31, 2017 and December 31, 2016 were $12.0 million and $13.1 million, respectively. As of December 31, 2017, Eiger had cash, cash equivalents and short-term marketable securities of $41.8 million, compared to $59.9 million at December 31, 2016. On October 31, 2017, Eiger announced the closing of its underwritten public offering of 2,132,961 shares of its common stock that included the exercise in full of the underwriter’s option to purchase up to 278,212 shares, at a price of $10.00 per share. The offering was made under Eiger’s effective shelf registration statement and resulted in net proceeds to the company of approximately $19.8 million, after deducting underwriting discounts and commissions and estimated offering expenses. This press release contains “forward-looking” statements that involve substantial risks and uncertainties. 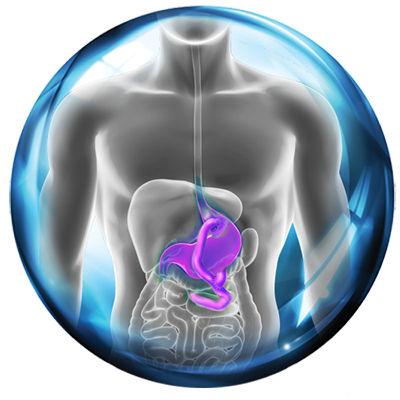 All statements other than statements of historical facts, including statements regarding our future financial condition, timing for and outcomes of clinical results, business strategy and plans and objectives for future operations, are forward looking statements. These forward-looking statements include terminology such as “believe,” “will,” “may,” “estimate,” “continue,” “anticipate,” “contemplate,” “intend,” “target,” “project,” “should,” “plan,” “expect,” “predict,” “could,” “potentially” or the negative of these terms. Forward looking statements are our current statements regarding our intentions, beliefs, projections, outlook, analyses or current expectations concerning, among other things, our ongoing and planned clinical development, the timing of and our ability to initiate or enroll clinical trials, and our ability to make regulatory filings and obtain and maintain regulatory approvals for lonafarnib, ubenimex, PEG IFN lambda, exendin 9-39 and our other product candidates, our intellectual property position, the potential safety, efficacy, reimbursement, convenience clinical and pharmaco-economic benefits of our product candidates, commercial opportunities, including potential market sizes and segments, our ability to commercialize, expectations regarding clinical trial data and FDA outcomes, including whether we will be able to reach agreement on a single pivotal study for lonafarnib and the nature and scope of any such study to support approval, our results of operations, cash needs, financial condition, liquidity, prospects, growth and strategies, the industry in which we operate and the trends that may affect the industry or us. 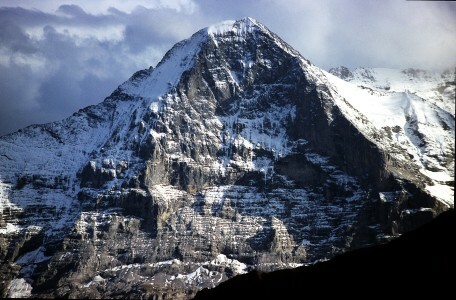 Various important factors could cause actual results or events to differ materially from the forward-looking statements that Eiger makes, including the risks described in the “Risk Factors” sections in the Annual Report on Form 10-K for the year ended December 31, 2017 and Eiger’s periodic reports filed with the SEC. Eiger does not assume any obligation to update any forward-looking statements, except as required by law.